The Geami WrapPak Eco Friendly Packaging System instantly transforms a specially patented die-cut wrapping paper combined with tissues paper into a stylish and effective protective packaging. Extremely strong and shock-absorbent, this is a cost-efficient and attractive eco packaging alternative. With its smooth white or black tissue interleaf, it is suitable for storing or shipping a wide range of fragile items presenting them in an extremely attractive way. With options for low or high volume applications, this all-in-one eco-friendly packaging system is both time and space-saving whilst being a green packaging alternative to plastic. Geami works by converting brown or white Kraft paper – die-cut into thousands of horizontal slits – into an expanded 3-D honeycombed web of angled cells which is amazingly strong and shock-absorbent. 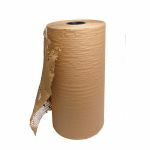 Once pulled through the dispenser, the paper packaging provides superb cushioning material for packaged or boxed goods. When used as void fill it stops items from shifting around in the shipping box. It is safe to use on glass, china or delicate surfaces, thanks to an integral layer of black or white tissue which is dispensed simultaneously with the paper. You don’t need scissors or adhesive tape either to secure the wrapping, as it catches on itself when you make your final folds. 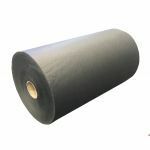 The honeycombed paper is extremely easy to tear off and handle. You can mould it round individual objects or safely bundle them together by wrapping and rolling each item as you go, all along the dispensed paper. As it is so flexible, it can easily be wound around large or awkward items and crossed backwards and forwards for additional protection. It can be twisted into a snake to protect handles or folded over and tucked into glasses to protect the rims. This versatile eco friendly packaging system is suitable for most packing applications. 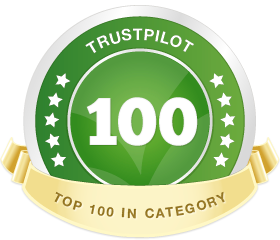 It’s portable, manually operated, pleasant to handle and can be used both in business and at home. 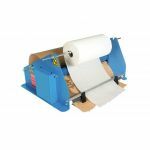 Geami WrapPak is available as either a compact disposable dispenser, or a more robust dispenser is available for more regular use, replacing the packing paper rolls as needed. The Geami machines produce instant protective packaging wrapping and void fill, rather like “paper bubble wrap”! The choice of different coloured outer casing and interleaf tissue allows you to create your own designer wrapping effects – either conventional or funky! 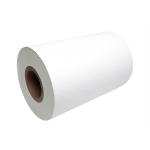 The Geami Manual Dispenser uses a roll of Kraft paper (white/brown) which slots on to the holder where it is combined with the tissue paper (white/black). (Due to the roll lengths, one roll of tissue paper will accomodate 2 rolls of the Geami Kraft Paper). Made from sustainable natural material, Geami paper “bubble-wrap” is fresh, clean, and recyclable – convenient and easy for customers to dispose of, too. It combines an all-round effective eco friendly packaging system with an appealing organic presentation. The natural appearance of packaged goods in the box can be enhanced by tying with raffia or simple cotton ribbons. 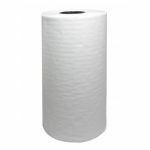 Alternative colours of tissue paper are available in pallet quantities on request. Please contact us for further information.